This is one casino reward we’ve never seen! Mr Green Casino has certainly upped the ante on online casino prizes by offering a gold bullion as first prize in its latest promotion. “Crack the code, win the gold”, is how Mr Green Casino entices players, and it is easier than you think! If you want to get your hands on 1 kg of pure gold, then your mission is to crack the code of Mr Green’s Treasure Vault between now and March 22nd. Cracking the code is simple. All you need to do is play 100 rounds across any of the games in the casino’s Heist game collection – several feature games that can be found on the site. Each 100 rounds earns you a ticket into the lucky draw which will take place LIVE on March 26th at 19:00 CET at Mr Green’s Exclusive Blackjack Table 3. You can earn up to 100 codes (draw tickets) per day to increase your chances of winning even more. In addition to the gold bar (worth around $43,000! ), four lucky players will win EUR 500 in cold, hard cash. The winners of the gold bar and cash prizes will be announced live after the draw on March 26th. This latest promotion is part of a full year of incredible rewards and promotions rolled out by Mr Green Casino to celebrate its 10th year anniversary in the industry. 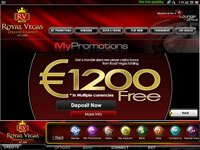 A new slot game has arrived at Mr Green Casino, and the online gaming site is in the mood to celebrate. Play NetEnt’s brand new Jungle Spirit: Call of the Wild slot, and you could be spread out on the wide, sandy beaches of Bali, soaking up the sun at this tropical location. As the winner of the Magical Bali Treehouse Experience, you will fly out to Bali and enjoy a dream magical treehouse stay in the jungles of South Kuta. This luxury accommodation is located minutes from the beach, from where you can launch into the stunning underwater world of Bali and dive among some of the world’s most famous corals. All in all, the prize package includes return flights for two from Europe to Bail, two week accommodation at the Magical Luxury Vintage Treehouse, as well as EUR 1,000 spending money. For every EUR 10 wagered on Jungle Spirit slot between now and Friday, March 31st, you will earn one point on the leaderboard. The more you play, the higher your chances of reaching the top of the board and flying off to Bali. A total of seven players will take home a prize in this promotion. 5th to 7th place – EUR 50 each. The runner up prizes are real cash and therefore free of any wagering requirements. Jackpot Factory is giving players an opportunity to celebrate Valentine’s Day by running a great new promotion at its Microgaming powered online casinos this month. The promotion consists of a new “Bonus Box” twice a week which includes free spins on the casino’s popular romantic slot games, cash back bonuses, loyalty points as well as other lucrative rewards that can be won by players in lucky draws twice a week. Jackpot Factory will be awarding lucky draw players with gourmet dinners for two in a great Box of Bonuses giveaway that will run between Wednesday, 11th February and Saturday, 14th February, 2015. The winners in the lucky draw will be given a chance to spend an evening with someone special in their life over a romantic four-course dinner at any restaurant of their choice. The Box of Bonuses promotion will run at Jackpot Factory’s Microgaming powered online casinos between now and Tuesday, 24th February, 2015 and players are required to opt in and deposit a minimum amount of $20 at the casino for each draw that takes place on Sundays and Wednesdays during the period of the promotion. The Jackpot Factory Group of Microgaming powered casinos was launched in 1999 and currently offers players the largest and latest selection of games for PC and mobile devices. The operator is eCOGRA approved and prides itself on its excellent customer support, fast payouts and honest play. Members of the Jackpot Factory Group of Microgaming powered casinos include All Slots Casino, All Jackpots Casino, Wild Jack Casino, First Web Casino and the VIP Lounge Casino. The Jackpot Factory casinos are offering players a special New Year’s Bonus Party that will see players at All Slots Casino, Wild Jack Casino, All Jackpots Casino, First Web Casino as well as the VIP Lounge Casinos being invited to enjoy weekly bonus parties for an opportunity to win a share of prizes worth $55,000 including lucrative bonuses, exciting free spins and fantastic giveaways. Players are offered exciting ways to celebrate and win big each week by joining a rocking 80s party to a glamorous Royal Ball. The 80s Bonus Party is scheduled to take place from Tuesday, 6th January to Saturday, 10th January, 2015 and will see players standing in line to win Bose Sound Touch Wi-Fi Music Systems. The Royal Bonus Ball will run at the casinos between Tuesday, 27th January and Saturday, 31st January, 2015 with lucky players being awarded Bose QuietComfort 25 Acoustic Noise Cancelling Headphones which will see them having better sound both at home as well as on the go. David Brickman, the group’s Vice President of Player Affairs revealed that they will be keeping the excitement of New Year’s Eve going all month long at the Jackpot Factory. He added that they have a number of amazing prizes up for grabs and that they are looking forward to celebrating the year 2015 with their players this month – and every month of this year. Players are given an opportunity to earn prize tickets towards the weekly draws by depositing and playing their favorite online casino games at any of the five group casinos. The Jackpot Factory Group of Microgaming powered casinos was established in 1999 and currently offers players the largest and latest selection of games for PC and mobile devices. Christmas is over but the 40 day Santa’s Gift Grab promotion is still running at Microgaming powered Royal Vegas Online Casino. The online casino is in the middle of this great promotion that sees players being awarded Free Spins, Reward Points and Credits right up until Saturday, 10th January, 2015. Santa’s Gift Grab promotion at Royal Vegas Online Casino ensures that players will continue to be rewarded with gifts by getting their hands on prizes totaling €140,000 right into the New Year. Royal Vegas Casino gives players an opportunity to pick from a choice of two gifts each day during the promotion period that is sure to see them smiling all the way into 2015. Gifts are awarded each and every day until Saturday, 10th January, 2015 and are valid for a period of 24 hours, during which time players are required to redeem them. Included in the gifts are Free Spins on a number of Microgaming’s innovative slot games, guaranteed Credits, guaranteed Reward Points, lots of Cashbacks and more. 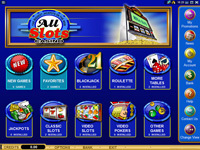 Players also have the opportunity to win up to 5 x Reward Points on a slot game of their choice. Royal Vegas is one of several online casinos belonging to the Fortune Lounge group that is offering the 40 day Santa’s Gift Grab promotion. Other members of the Fortune Lounge Group include 7 Sultans Casino, Platinum Play Casino and more. The Fortune Lounge Group runs regular amazing promotions across the entire brand, giving players a great opportunity to earn points at any of the member casinos.